The black garden ant is the most common ant in Britain, and can be found across all regions of the UK. Keen explorers, black garden ants are most active during the early summer months as they attempt to increase the food supply to their queen and her young. Black garden ants can often become a problem for gardeners as they farm aphids, which can subsequently attack crops of fruit and flowers. Usual months of activity: June – September. A black garden ant worker is between 3-5mm long and, despite its name, is dark brown in colour. 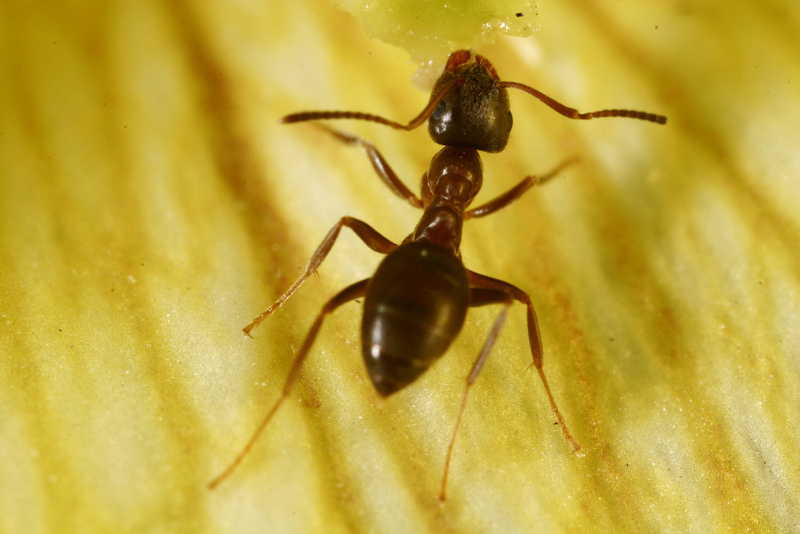 The black garden ant queen is around 15mm long and has mid-brown colouring. Mating of the black garden ant takes place over a short period of time, normally during the warm summer months of July and August, when swarms of ants take to the air. After mating, the male dies, and the newly fertilised queen will begin to search for a suitable nesting site where she will over winter. The first eggs are laid in late Spring, and it normally takes about 3-4 weeks for the white legless larvae to hatch out. The larvae feed on secretions from the queen's salivary glands until the first worker ants emerge around 5 weeks later. The worker ants then take on their duties of larval care, nest building, and foraging for food while the black garden ant queen concentrates on laying eggs. Ants do not pose any major threat to our health, but they can become a real nuisance when they enter our homes and workplaces. Doing your own control can only be effective on a small scale, it is generally accepted that the best method is through barrier spraying at wall / floor junctions. At Town & Country Pest Control, large and small any ant infestations can be dealt with quickly with a wet spray or a dry powder, but gels are also used. Prevention is with good cleansing, clear spillages and remove or cover any food left out. Covering of cracks and gaps ants can use to enter your home. These preventative measures are easy, but not always 100% effective to stop an infestation from the determined ant!! © 2013 Town & Country Pest Control | All rights reserved.